To do this, you use your active vocabulary. These are the words you know, and more importantly, know how to use in context! Reading and listening on the other hand, are receptive language skills, this means that you receive information and have no control over it. However, this does not mean that these two skills are less important than speaking and writing, quite on the contrary, you can use them to build and enlarge both your passive and active vocabulary. For example, you read a text but did not understand every single word in it. But the overall meaning was clear to you. Thanks to your active vocabulary, you were able to understand the main points of the text and it also helped you to guess the meaning of the words you didn't understand. What is the difference between active and passive vocabulary? Your active vocabulary are the words you remember and know how to use in context. With your active vocabulary you produce language but it also helps you to acquire more passive vocabulary, especially as your vocabulary becomes larger. Because the more words you do actively know, the more you are able to guess the meaning of the ones you do not know. I am sure you know the feeling when you stumbled repeatedly over a word in many situations and contexts, and suddenly it becomes clear to you what the word means and how it is used! This means your passive vocabulary has just turned active. Your passive vocabulary is larger than your active. Usually for a word to become part of your active knowledge, it must first be in your passive vocabulary. For you as a language learner this means that practising the two receptive language skills are just as important as speaking and writing. Your active vocabulary can be further divided in controlled active vocabulary and in free active vocabulary. In this example you get two options to choose from, however, a more advanced student would guess the right word even without any of the provided options to choose from. So, controlled active vocabulary are the words you produce in a controlled environment, like the above exercise or another prompted task. Free active vocabulary on the other hand, is the vocabulary you produce without a specific prompt. Examples are free conversations about a topic, writing an essay or a short story, basically anything where you are able to choose your own words and the way you want to say it. 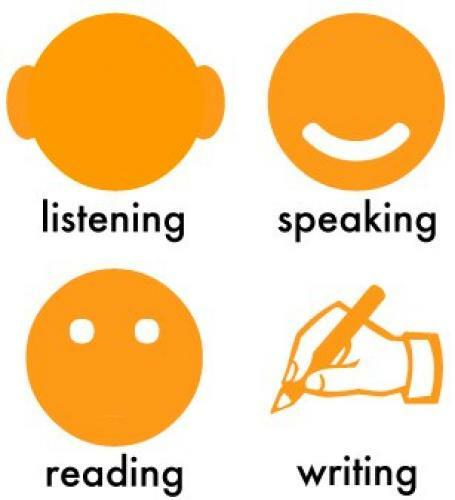 So in order to improve your language skills, it's important to focus on all four skills (reading, listening, writing and speaking) equally! My name is Nicole Heusser and I'm a freelance English teacher based in Ditzingen, Germany. On http://www.discoverenglishblog.de I write about all things English - bite size chunks of grammar, interesting words, how to study effectively, vocabulary etc.